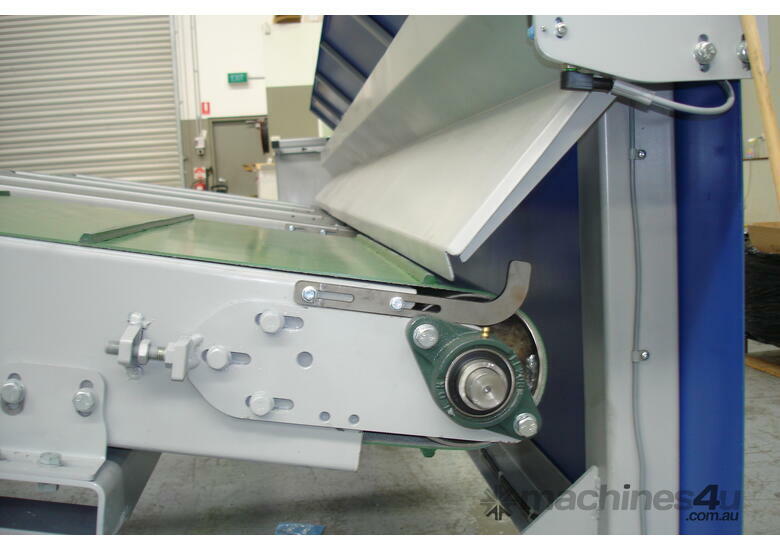 The Outfeed Table ia a superior method of unloading timber from any moulder, it is a must for any efficient, productive, and above all, safe operation. The Outfeed Table aids the operater with unloading the timber, giving them time to sort, stack and pack without stopping or slowing down. 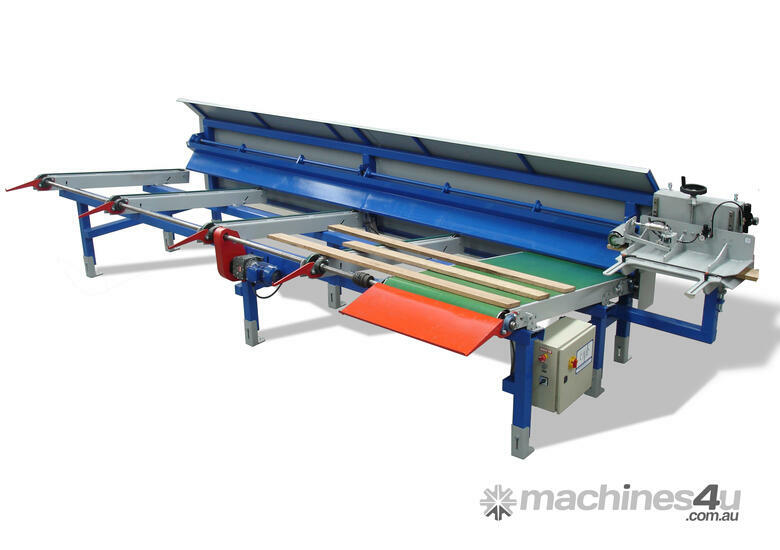 The Outfeed Table can be setup with additional handling equipment to even further improve the speed and safety of the operator unloading the timber. 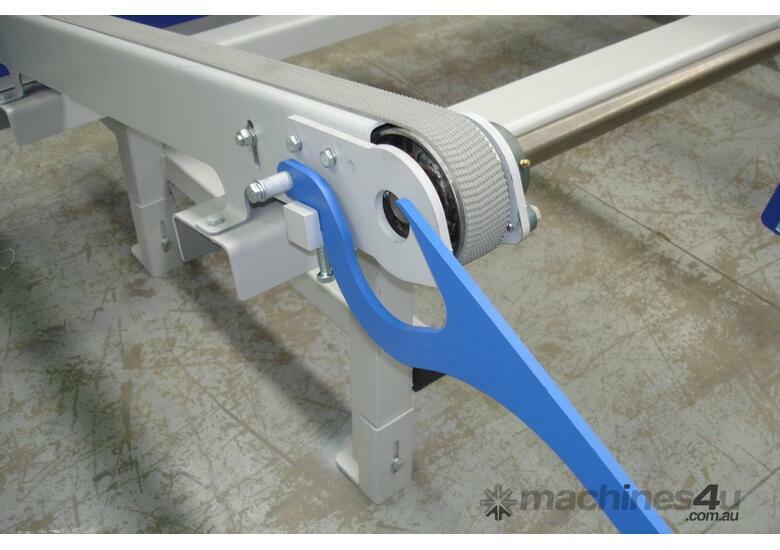 Available with chains or belts on the crossfeeds and cleats on the wide belt (for dowels). 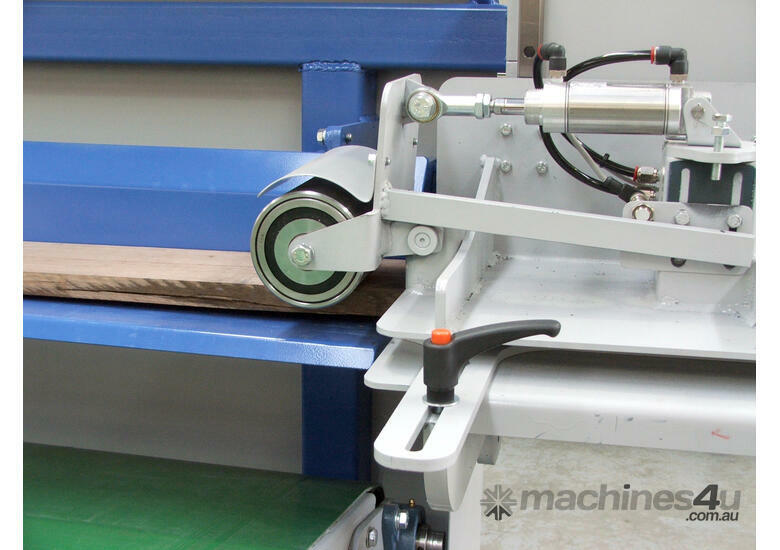 - Packed full of smart design features, the Outfeed Table is a low cost alternative for unloading timber from a moulder. - Production speeds will be increased compared to that of manually unloading, and the high speeds will be maintained all day with minimal effort. - The operator will have more time to sort, stack, and pack the timber. 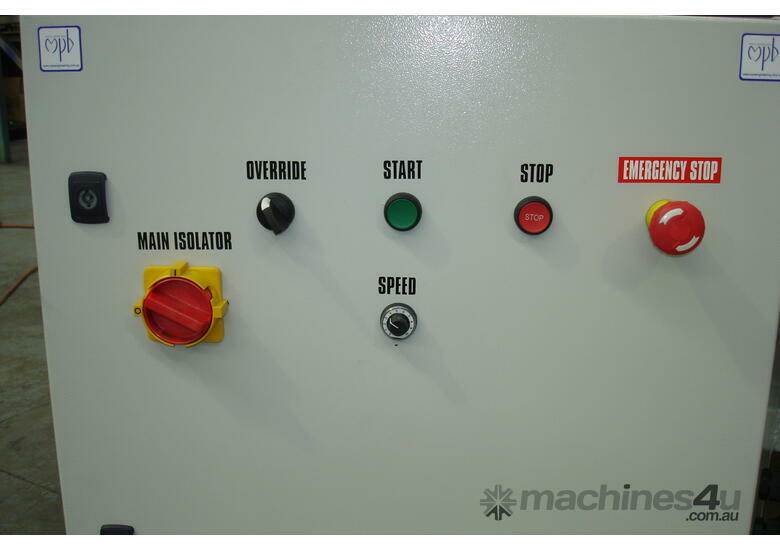 - The controls are kept simple to facilitate easy operation while quality components maintain the Outfeeds speed, accuracy and longevity with minimal maintenance required. - Helps reduce OH&S concerns and eliminate operator back complaints. Operator safety is of the utmost importance and should be considered at all times. 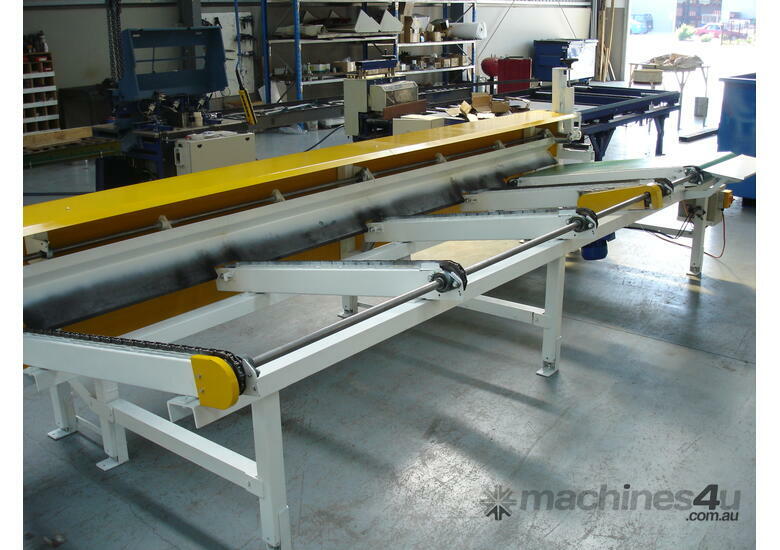 - Machine comes assembled-put in position, connect up air and electricity.......machine is ready to go!